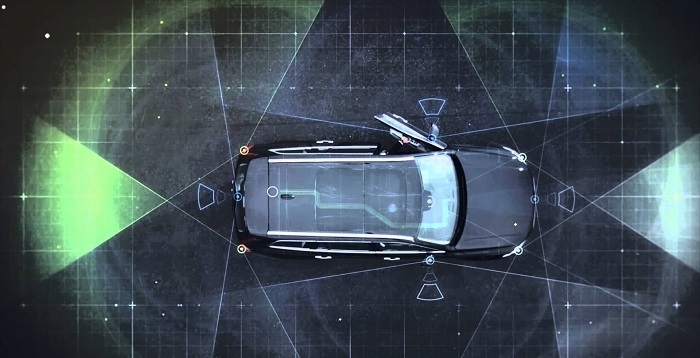 According to a recent report by Yole Développement (Yole), emerging applications in ADAS and autonomous cars is resulting in faster evolution of radar technologies. In its latest technology & market report, Radar Technologies for Automotive 2018, Yole’s RF Electronics team reports that the radar chip market is showing a 22.9% CAGR between 2016 and 2022, in value. 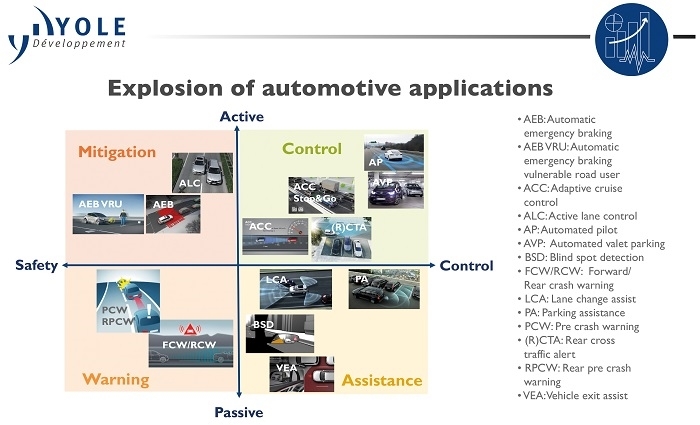 In this report analysts detail the different modules involved in standards and autonomous systems as well as related roadmaps and forecasts for both high-end and middle-end cars. The report covers radar technologies as well as market evolution with a focus on the competitive landscape. It is a smart combination of Yole’s knowledge and System Plus Consulting’s technical expertise. As part of Yole Group of Companies, System Plus Consulting proposes a collection of reverse engineering & costing reports focused on the radar modules and related architectures. The company is offering a deep understanding of the technology mix and positioning of the numerous Tier 1 and semiconductor players. Autoliv, Continental, Delphi and Robert Bosch are part of them. Click here to learn more. Automatic emergency braking, adaptive cruise control, and lane-change assist are some examples of the new applications. Spurred by the New Car Assessment Program, OEMs are designing cars with numerous sensors that enable applications like these. And since most of these new applications are safety-related, the sensors must be highly accurate. This means very tight specifications for object detection and classification, as well as being ultra-reliable: operable in every weather condition, in poor lighting, near or far, and with a wide field of view. Radar technology is well-suited to fulfill most of these requirements. Yole says “most” because object classification is not currently possible with radar, but certain companies are moving quickly to unlock this capability in imaging radar. Radar has an impressive technology roadmap allowing for huge resolution improvement as well as device miniaturization and cost reduction. According to Cédric Malaquin, Technology & Market Analyst at Yole, radar technology will achieve an outstanding penetration rate in car sensors complementing camera devices. Despite the small global car sales growth reaching almost 3% until 2022, Yole expects an average growth rate of 23% for radar module sales, and an average growth rate of 22.9% as well, for radar chip sales over the next five years. According to the Yole analyst, autonomous driving will be the next long-term driver for radar technology growth. 77 GHz in the W band for long-range (up to 250m) applications including adaptive cruise control and automated emergency braking. However, this heterogenic approach might generate interference issues with an increasing number of radar-equipped cars. So a more unified platform called 79 GHz has been proposed, based on the 77 GHz frequency with its 5 GHz of available bandwidth from 76 - 81 GHz. 79 GHz offers other advantages too: it improves radar resolution to enable better target separation, while reducing antenna and high-frequency circuit size.